Microsoft annouced on Wednesday as part of a new licencing scheme of Office 2010, that Microsoft Works will no longer be continued. As part of an effort to encourage user to use Microsoft Office products, Microsoft will be release a ranges of what they will call Microsoft Office Starter, a cut down versions of the popular Microsoft Word and Excel products. The Starter edition will only contain essential features as well as being ad-supported that is intended on only being distributed on new PCs. Users do have the functionality to easily upgrade to full-featured versions of the products and are encouraged to buy yet to be release "Product Key Cards". These "cards" will be sold without media, allowing the user to key in the product into the pre-loaded software on their new PCs and upgrading to the full software. 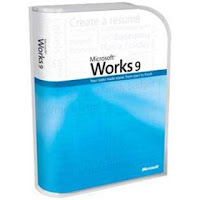 So people, this will hopefully be the end of the awefully overly used oxymoron "Microsoft Works".